The clocks went forward last night and I woke bright and early – course I did – to what can only be described as a spring morning. A week ago a troop of hardy volunteers gathered to start tackling the extensive areas in Gorse Hill that can – and will – be planted. For those who live here, you’ll be very familiar with the sight of weed filled tree pits, sad (litter filled) track of grass and neglected flower beds. When I first suggested the idea of “Gorgeous Gorse Hill” I don’t think I really took in how many and how extensive these areas are. 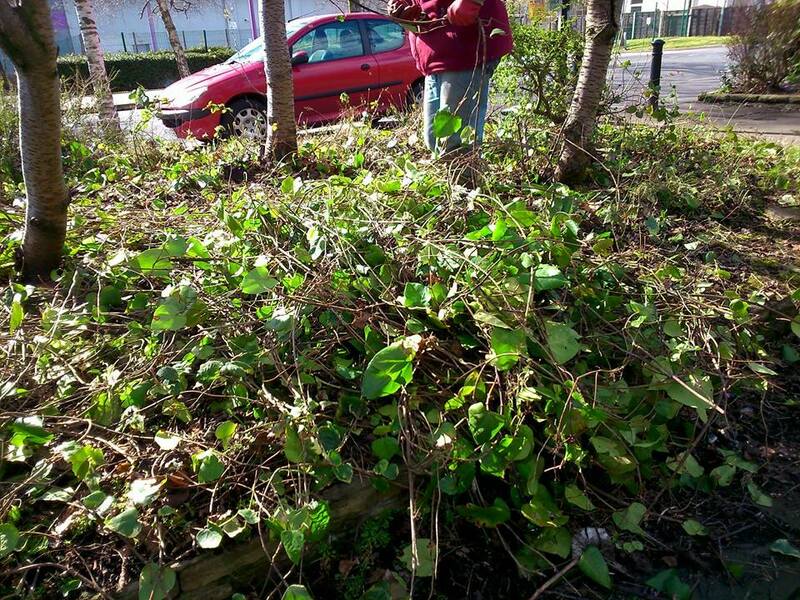 To be honest we could do with a planting every day for two months just to clear the litter, weeds and ivy – oh don’t get me started on the ivy. 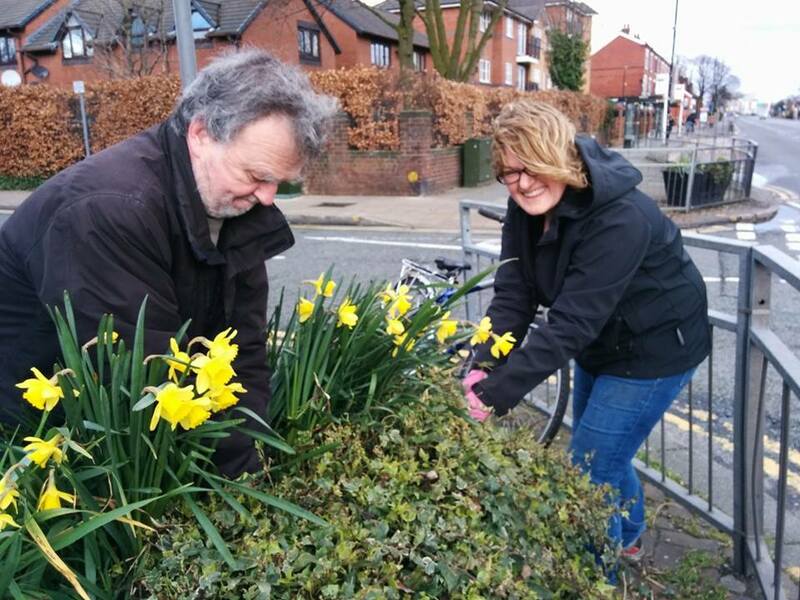 For our first planting day we picked four locations: the planters at the top of Taylor’s Rd, the beds behind the Gorse Hill pillar at the Stretford end of Gorse Hill, the tree pits and the extensive beds behind the Gorse Hill pillar opposite Tesco. 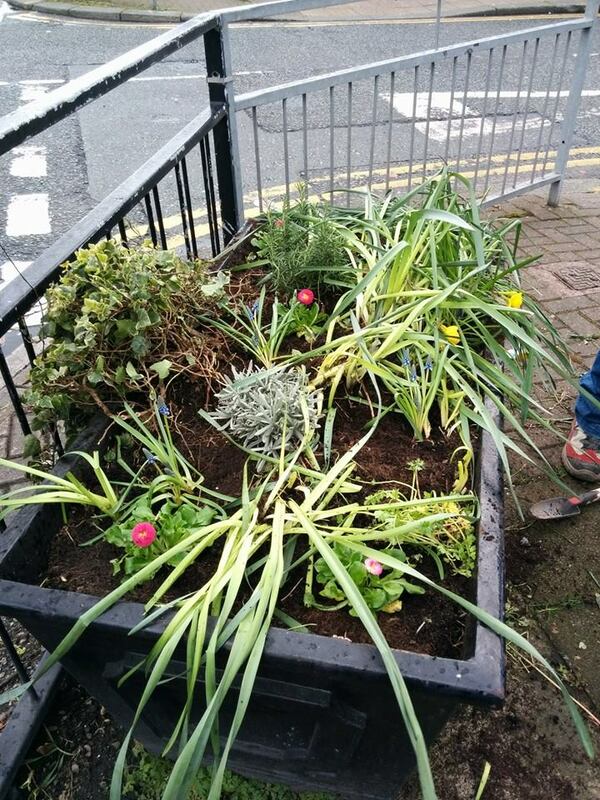 Well we got mucky, we didn’t get wet (woo hoo), we dug in compost, we pulled up weeds and we planted summer bulbs, seeds and wonderful donations like sorrel, rosemary and poached egg plants. We got lots of well dones from passers-by which was really heartening. We toiled all day and achieved quite a lot but discovered there is still a lot more to do – did I mention the ivy. The beds near Tesco proved a real challenge; neglected and filled with ivy as this suppresses weeds but doesn’t really help with much else. The team that took on this plot did a great job but we have a way to go here. 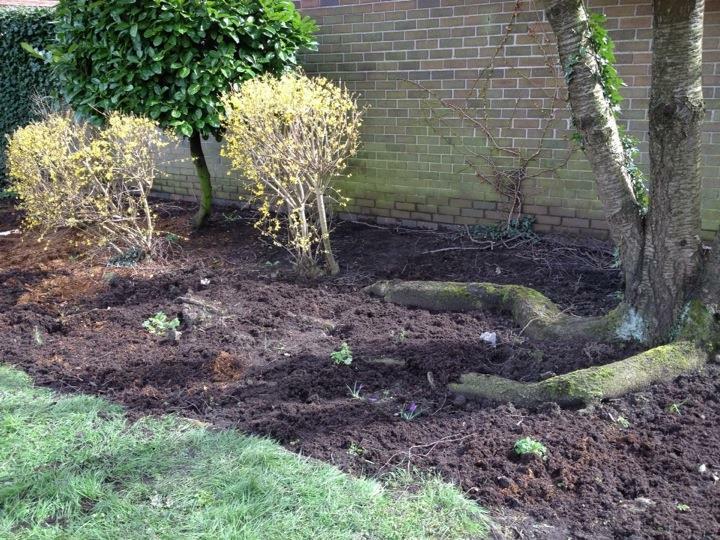 A number of volunteers are going to carry on with the tree pits, slow and steady weeding and planting. The Gorgeous Gorse Hill project is ambitious just the planting alone is a massive job, don’t even get me started on how many roller shutters there are in the area but we are determined.